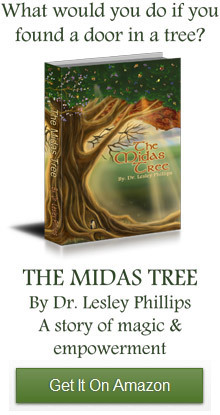 The Midas Tree » Lessons of the Tree » Do You Have Good Roots? Do You Have Good Roots? What would happen to a tree if it had no roots? The slightest breeze or knock would probably cause it to fall over. Some of the trees in our neighborhood appear to have lop-sided roots, because the construction for the road and sewers blocks their path. A few months ago there was a storm in our neighborhood. 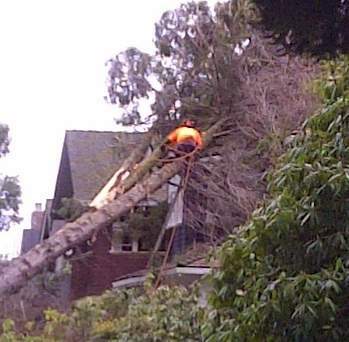 The storm was too much for one of these trees and it came crashing down onto one of the neighbors houses as they slept, frightening them and causing enormous damage to their house. There are reasons why trees have roots. One purpose of the roots system is to anchor them into the ground and provide stability. In fact there is as much tree underground in the root system as there is above ground and the roots also provide stability for the environment around them, because they keep the soil in place and help prevent erosion. This in turn creates a favorable environment for the other creatures to live in. In the story of the Midas Tree, Devadne, who is a nature spirit, teaches Joshua, the hero, all about this. She also teaches him a meditation technique called grounding. She guides him in a visualization in which she instructs him to create a flow of energy from near the base of his spine all the way to the center of the earth. Devadne explains that just as the trees roots ground it into the earth and make it stable creating a grounding chord will anchor Joshua into physical reality, will increase his stability and put him in charge of his life. A grounded person also creates a more comfortable environment for others because it helps creates the space for everyone to do the same. Throughout Joshua’s journey, I encountered the spirituality in myself, and learned a few things about tuning in and connecting with my spiritual self... Children and adults alike will enjoy this book for its wonderful lessons and unique and very special characters. If The Chronicles of Narnia and Alice Through the Looking Glass are some of your favorite books, you will adore The Midas Tree. It is definitely a book to add to your permanent collection for a lifetime of reading.